Craft Renovations is a locally owned Auckland renovation business specialising in renovations and extensions to bungalows, villas and other older homes in and around the inner-city fringe. We are committed to delivering the craftsmanship your older home deserves. An important part of the Craft Renovation process is to take the time upfront to listen and fully understand your vision, and then communicate how we can best achieve it. We work in partnership with you through every phase of the project, crafting the details with care, and sharing your passion to create your dream home. We are committed to crafting an outstanding result, every time. We will problem-solve and look to add value every step of the way, applying our expertise to make even the most challenging projects a success. With much of our business coming from customer referrals, our company values of Integrity, Care, Partnership, Excellence and Passion are the cornerstone of our business success. But don’t take our word for it. Read what our customers have to say. 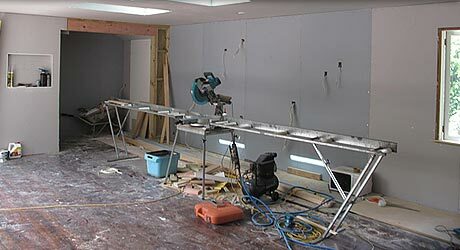 Craft Renovations is a member of the NZ Certified Builders Association. You can be confident our friendly team of experienced home builders are all licensed and trade qualified. Barrie Swarbrick is the founder of Craft Renovations and leads the team. A fully qualified builder with 30 years building experience in New Zealand, Australia and United Kingdom, Barrie brings his vast expertise to every renovation project. While he has been involved in all facets of building over the years including new home builds and light commercial, since starting his own home building business in 1998 he has developed a passion and unparalleled expertise for older home renovations. Barrie’s professional approach and personable manner means clients often remain good friends well after the project is completed.